This came as a blessed relief. The past couple of books I’ve been reading I’ve struggled with a little. 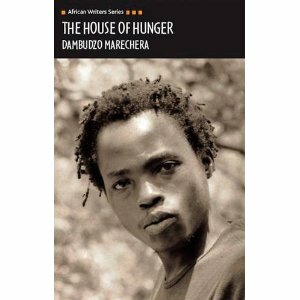 And my lunchtime book, The House of Hunger (part of my African Writer challenge) is rather brutal, plus work is challenging at the moment and I’m trying to revise. So, all-in-all I fancied a pleasant read. So, at lunchtime on Friday I wandered up to the Trafalgar Square Waterstones to hunt out some Alexander McCall Smith gems. I did buy quite a few, and I won’t bore you with the details of my thoughts on each of them as I read them, as I have fairly similar reactions to them all anyway – and I buy them to get that particular reaction. But I’ll blog about this one, and I’ll probably do a general blog on the Sunday Philosophy Club ones when I’ve meandered through them. 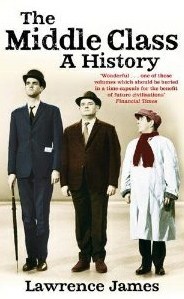 Now there’s nothing difficult or conceptually hard about McCall Smith’s books, but they are erudite and considered. They contemplate life on a slightly different plain to that which most of us occupy for most of the time. And they make me consider things too: how we should behave towards others; the importance of courtesy; the value of friendship. And this one is no different. I understand that this was initially an serialisation in the Telegraph and then an on-line podcast, and I could see how that would work well. Given that initial format it’s understandable that the chapters are much shorter than is normal in his books. This does mean that the story seems to jump around a little, and that you don’t really have time to ponder much before he moves onto another fascinating point, but it still flows enough for this not to really be an issue. Getting onto the actual content – well it’s classic. 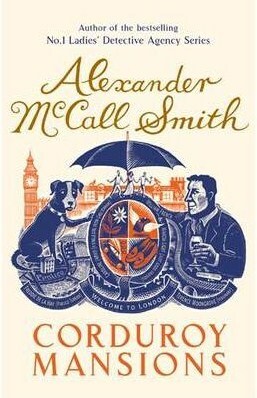 In Corduroy Mansions in Pimlico William, Master of Wine (failed) acquires an ex-sniffer dog, Freddie de la Hay, as a ruse to dislodge his useless son from his flat, whilst also trying to, kindly, ward off the attentions of his friend Marcia. Meanwhile, downstairs Caroline tries to escape that picture of her in Rural Living while contemplating her friendship with James, and one of her flatmates, Jenny, earns her living by working for Oedipus Snark, a vile MP. Maybe not quite as good as the Scotland Street series, but it still delivers the same feel-good reaction and reflective mood. And so much better than every other printed piece of matter I’m reading presently.